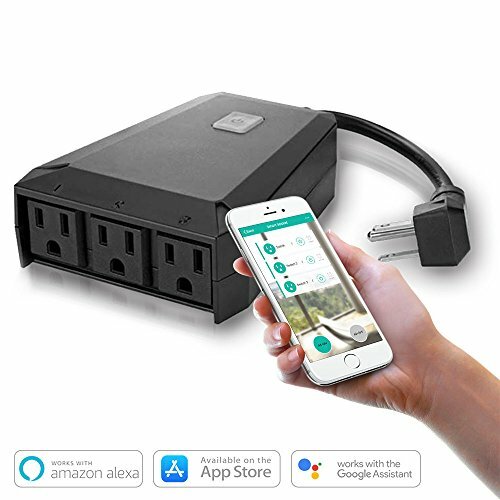 This Wifi Outdoor Smart Plug Compatible with Alexa/Echo Google Home Assistant By Smart Phone. Please follow the manual to set the smart outlet and connect your device step by step, if you need help, please feel free to contact us, our customer service will reply you within 24 hours. Wireless frequency: 2.412 ~ 2.484GHz. Main Body Size: 5.1 * 3.7 * 1.4 inch / 13 * 9.3 * 3.5 cm.